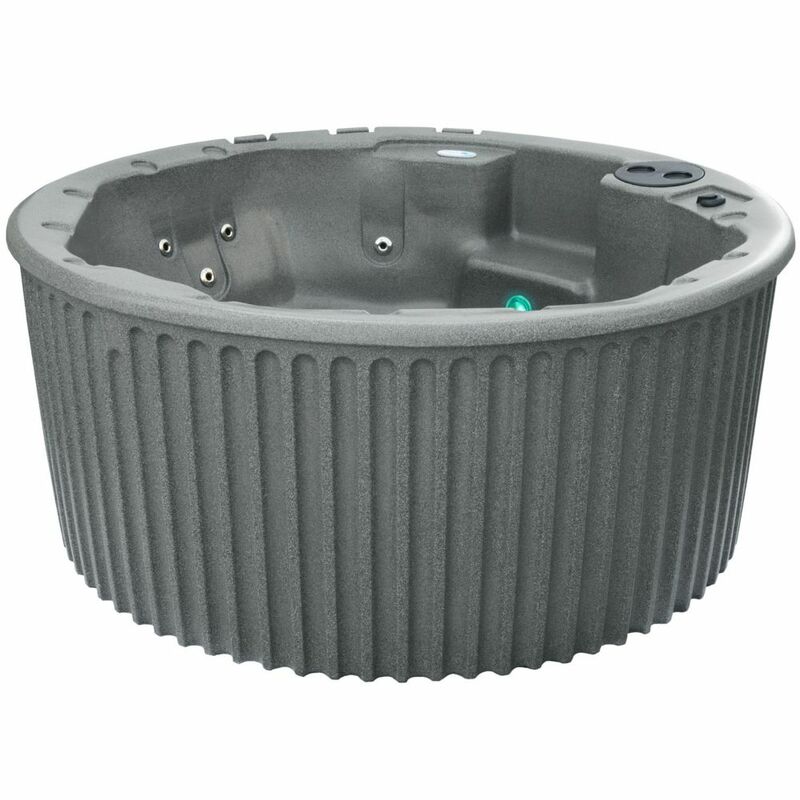 Haven 20 Jet Grey Standard Hot Tub PLUG & PLAY Aqualife's Haven spa is your own at home oasis. This spa gives you luxury in a durable unit with a low maintenance, impact resistant exterior. All 20 jets are powered by a two-speed energy efficient pump that allows you to have a quiet relaxing evening or melt away the day's aches and pains with the high-speed hydrotherapy setting. A digital back lit control unit allows you to customize your experience setting the mood while you enjoy your spa with up to five other people. This rotationally molded spa is made from quality granite resin that features a fully insulated interior allowing your spa to retain optimum heat from your all-season stainless steel heater all year long. Ready to go right away with its featured PLUG & PLAY connection this spa will perform all year long. The Haven spa also comes with a heavy duty, insulated tapered cover with locking clips that allows you to easily and comfortably close your spa to the elements. Haven 20 Jet Grey Standard Hot Tub PLUG & PLAY is rated 4.0 out of 5 by 1. Rated 4 out of 5 by Patrick 67 from Nice size, lots of jets. Had it a month now, works great, nice size, not to big, lots of powerful jets. Only bad thing I would say is the beverage holders could be deeper. Does this model have an ozonator? Thanks! This model does not have an ozone installed in it from the factory. However the controller is compatible so an aftermarket installation is possible. Is this unit really 80 inches in height? That is over 6.5 feet! Thanks! The hot tub is 80.5 inches wide and 34.5 inches tall. It is shipped on its side, so that is where the confusion comes in. Does the heater come wired for 240 volts or what has to be done in order to &quot;Convert&quot; from a 120V to 240V ? The spa is setup as 120 volts from the factory. Conversion is just a matter of moving a dip switch and removing the 120 volt jumper. All this can easily be done while wiring the 240 volt service. Hello I'm wondering if this hot tub retains heat well in colder temperatures such as 0 ? This spa is well insulated and can maintain the desired temperature, however it still is only factory set at 120 volts. It is recommended to convert it to 240 volts in the coldest of climates.